Mysterious with no face, but the focus on the subject and task is the key here. Well done. Thanks for the perceptive analysis. That's exactly what I was trying to show. I do have some shots with his face, but none of them seem as effective as this one showing his hands at work. 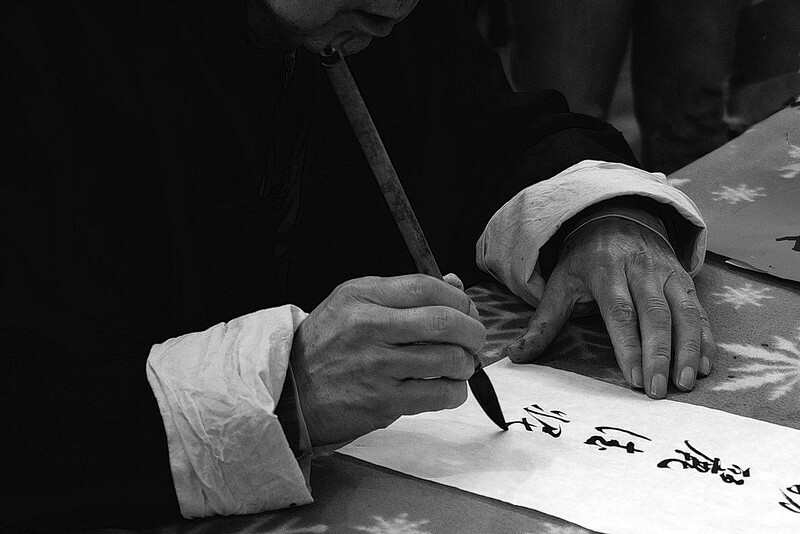 I learned several years ago that the Chinese consider calligraphy to be a fine art, whereas pictorial work is considered as a craft, contrary to Western attitudes toward these endeavors.